Good friends, good food, and BYOBs. Those are what make the world go round! But before I go one step further, I have to tell you that I am no longer subscribing to a vegan diet. It saddened me to give it up after about a month and a half, but the fact of the matter is, I eat out A LOT here in Houston. And while keeping up a vegan diet at home when I'm cooking my own food is no problem at all, I found myself getting totally stressed out and unable to enjoy myself at restaurants. Also, I started craving meat and seafood, which only happened maybe once in the entire two years I was a vegetarian? Something had to give. So, back to vegetarianism - which is a total cakewalk! 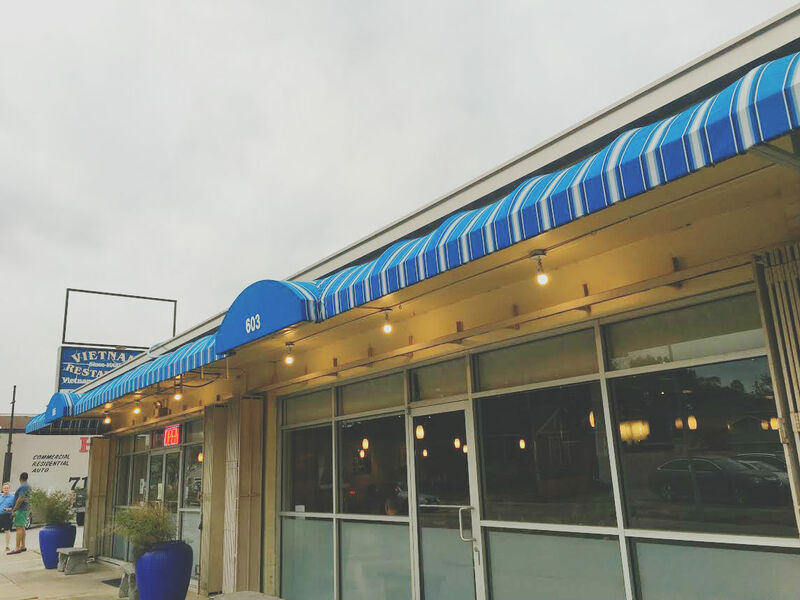 I'm super backlogged on my food blog posts though, so the next several Houston restaurant write-ups (this one included) will have a vegan focus. A few weeks ago, I went to dinner with my friends Kate and Frances at Vietnam Restaurant, located in Houston's Heights neighborhood. Fortunately, it's incredibly easy to eat vegan at Asian restaurants, so my experience at Vietnam was the opposite of stressful; it was lovely. And my gal pals were totally on board to go vegan for the night, so we ordered a bunch of food to share! (and we brought two bottles of wine because VIETNAM IS BYOB AND THAT'S THE SECRET TO LIFE). 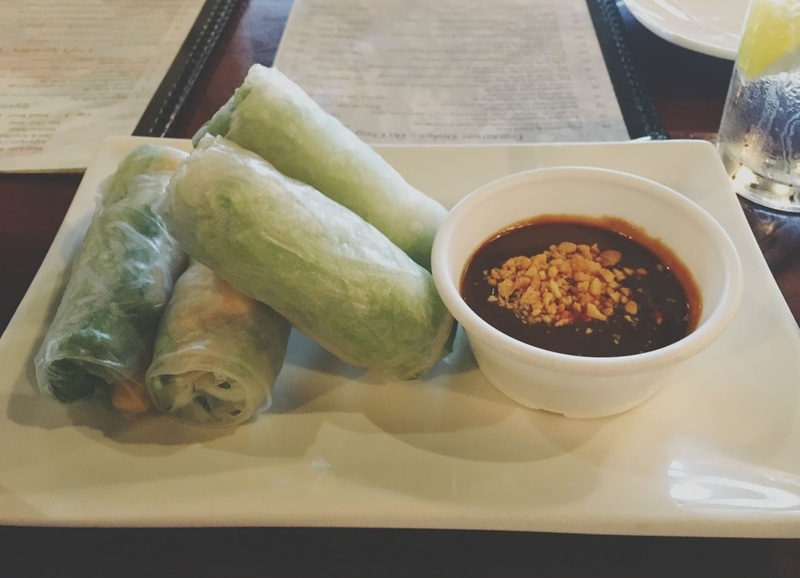 To start, we ordered the vegetarian spring rolls to share, which consisted of rice paper wrapped around tofu, vermicelli, and raw vegetables. The rolls were soft, sticky, crunchy, and fun. They were a light, fresh, and delightful appetizer! 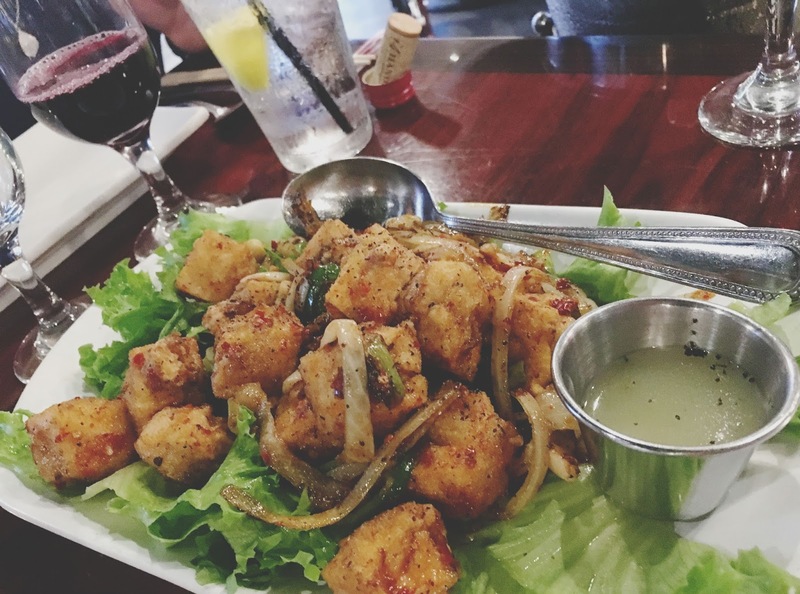 Next up for food, we shared the lemon grass tofu. The texture of the fried fried tofu was great - crispy on the outside and slightly gummy (I mean that in a totally interesting and good way) on the inside. The flavors were lemony, peppery, and tart. The tofu itself was a tad on the dry side, but overall it was a nice and hearty dish! I'd for sure order it again. 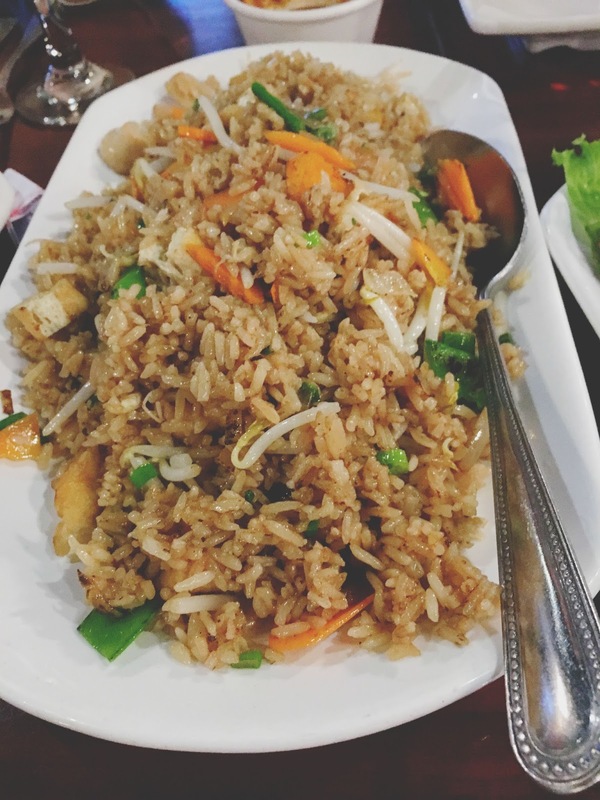 We also ordered some vegetable fried rice, requesting no butter or egg. This was far and away my favorite dish of the evening. The rice was bursting with flavor and had a wonderful smooth texture from the oil it was cooked in. It was perfectly salty and incredibly indulgent. I didn't for a second feel I was missing out on anything without the egg! For our last course of food, we ordered the string beans. These were also very good. 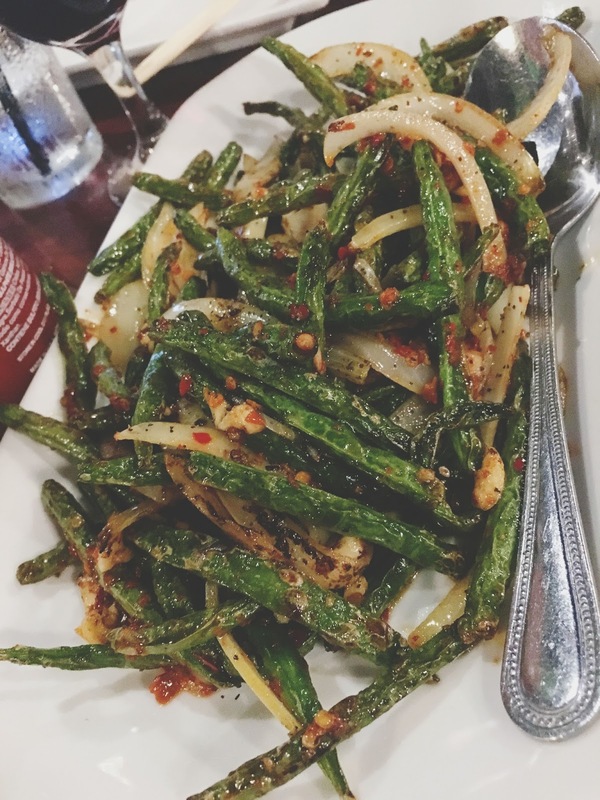 Green beans were stir-fried with onions in a light chili and garlic (I think) sauce. The savory dish had a touch of sweetness and a touch of heat, and much like the fried rice, it felt indulgent, even though we were getting in our dose of greens for the evening! Houston's Vietnam Restaurant is a laid-back, no-frills spot, and definitely worth a visit. The food that night was consistently good, and the service was fantastic (our server knew the ins and outs of veganism and was incredibly accommodating). 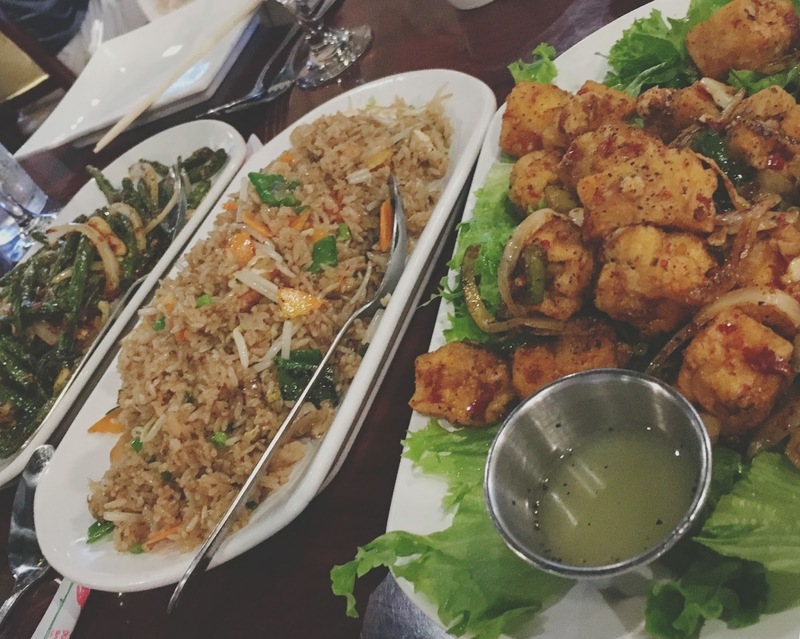 If you're in the Houston Heights area, and you have a hankering for Vietnamese food, grab a bottle of wine (or four) and head on over for a great meal! That fried rice is also the secret to life.